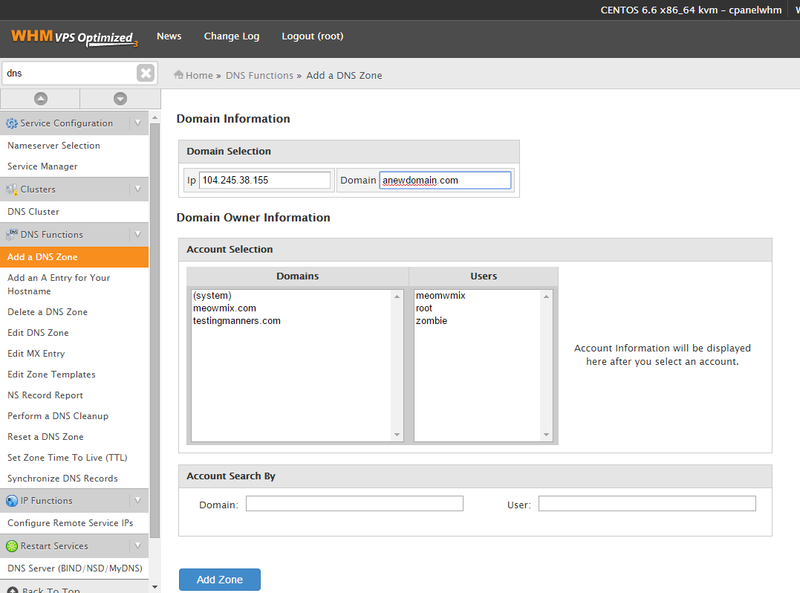 This tutorial will show you how to create a DNS zone in cPanel & WHM. This is mainly useful for when you have your own nameservers and will be using the server to host the DNS for an off-server website. If you are using our Cloud DNS or not using DNS on your server at all, you do not need to use the DNS zone editor. A server with cPanel and WHM installed. If you do not have a server already, spin up a cPanel WHM server in under 30 seconds. And that’s it. You can edit the DNS Zone and add more records to it by going to “Edit DNS Zone” and selecting the new zone you made.